We don’t post such articles often but we all live in a modern world and we all use messengers. We also all use emojis while using them. 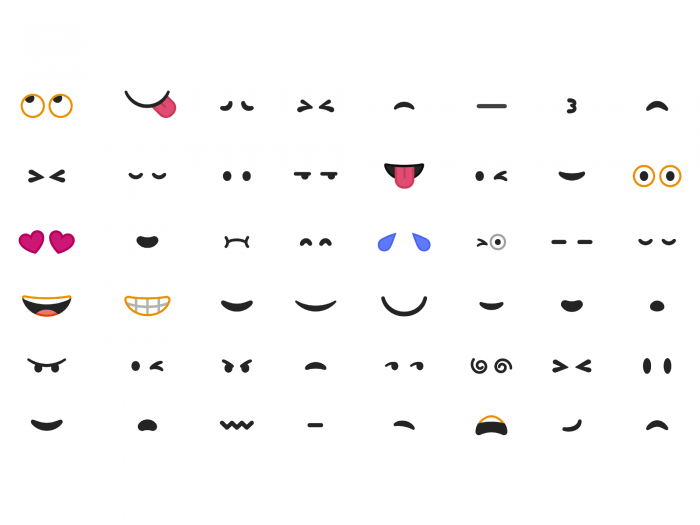 Recently Google has redesigned over 2000 Android emojis and in this article Rachel Been, Material Design’s art-director and graphic designer and Augustin Fonts, Google’s Product Manager will tell you everything about the process and its results. Ever since Android KitKat was launched, the quantity of emojis has grown to over 2,000 with only some small changes in style. A new era of messaging began as high-density screens became more affordable. This was a time for emojis modernization. We announced the transformation of emojis’ font at Google I/O 2017. Its main goal was the unification of visual style and a complete redesign. Our product cultivates cultural awareness through multinational and inclusive emoji. Simple and flat design with bold color blotches became Android’s calling card, which differed us from others. As through the years, all of the categories had been replenished with new and different emojis while the whole set became stylistically diverse. We didn’t have standards which would unite the illustrations’ look. As a result, the emojis “with a new look” differed a lot from the “old” ones and it made it hard to find the emoji a person was looking for on the keyboard. It was time for changes. We analyzed our mistakes and decided that we needed a strong design system which became the main focus of the transformation. With its help and without extra efforts, we wanted to create a kind of emojis-style that everyone will recognize. In addition to a unified look, we wanted the system to help us stay consistent in the process of releasing new emojis. As we chose the shape, grid, representation, and color we had a chance to make the set look quite the same while keeping its expressiveness and character. By implementing a strong design system, we got rid of the main barrier. After that even if emojis were drawn by different artists, the icons remained consistent, clear, and understandable. Yes, we did! We said “bye” to blobs. The asymmetric and little dimensional shape of the emoji has been changed to an easily-scannable circle. We relied on bold color, purposeful asymmetry, and sharp facial features to show the emotions. Our team worked hard to keep the emotional sequence in the right order. One of the most important reasons for redesigning was to avoid confusion or misunderstanding between platforms. We wanted to make our users feel reassured that an emoji sent to a friend will be delivered, no matter which platform the friend uses. 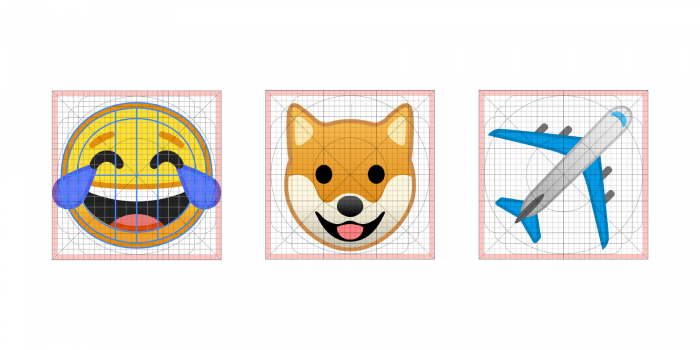 Emojis are designed on the same grid to provide maximal readability and consistency. Unified scale and size in all illustrations. Building a consistent set of shapes in the whole set. Facilitating designers aligning various parts of emoji in the correct places (think specific areas for eyes and mouths). We changed the scale and angles of smiles to make them as simple as possible. We used the grid to create angle and scale standards. 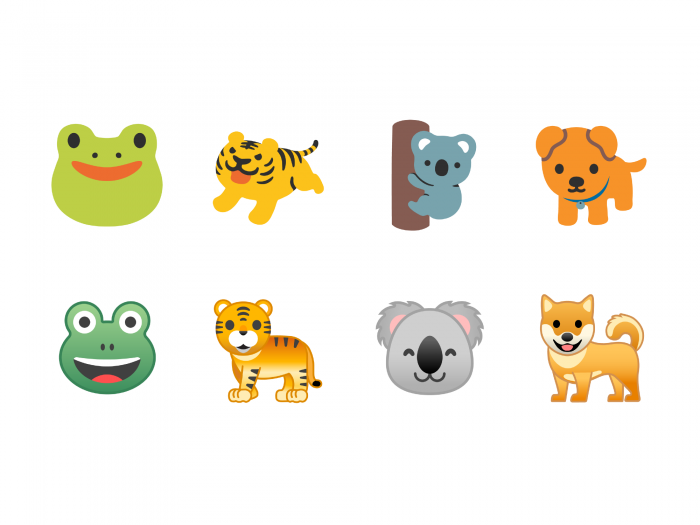 In Android N (top row), the animals’ postures, angles, and styles were inconsistent. We designed a big set of reusable components which express feelings. In addition to the grid, we have designed a new set of reusable elements for certain emoji-categories. Firstly, they maintain the same style and readability in all grids. Secondly, they helped us define unique features of our illustrative manner and made it easier to create new emojis. One of the most interesting part was to mix components from different categories. You can see the result of this in quite emotional animals. We use many elements, such as eyes and mouths for both: smiles and animals. When we renewed the color scheme, we used a fresh and consistent palette of bright colors. We created color-sets for different categories. You can see it in the “emotional smiles” set—red, blue, yellow, and green shades are now connected with specific emotions. 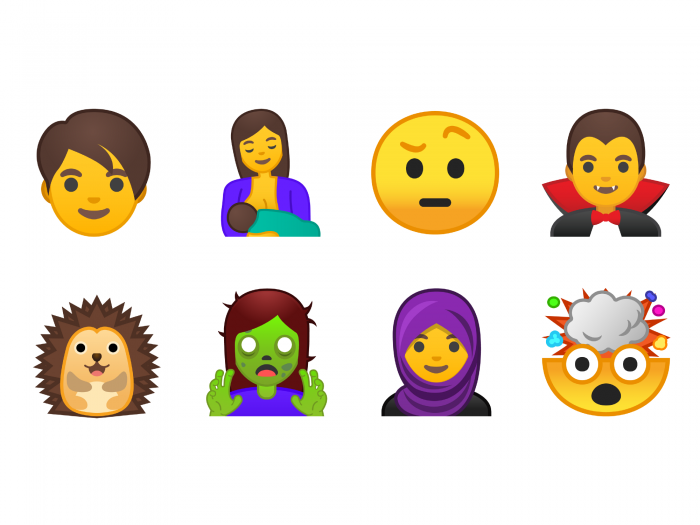 We relied on Material Design products and introduced a new bright style in which emojis became more tactile. This let our team experiment with colors. Gradients made smiles more clear. 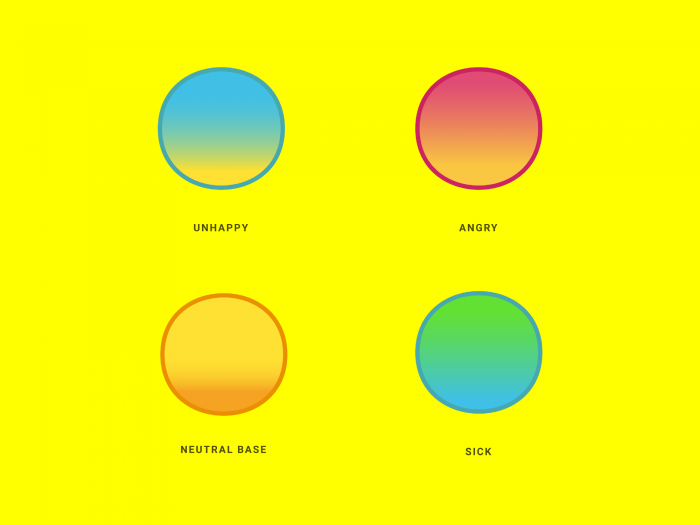 Using gradients and tonal strokes makes emojis easier to read on any background. Adding tonal strokes is another way to make emojis easier to read. We have chosen the color of the line according to the emojis-palette of a certain category. For categories that consisted of many different colors, we added a dark, semi-transparent stroke. 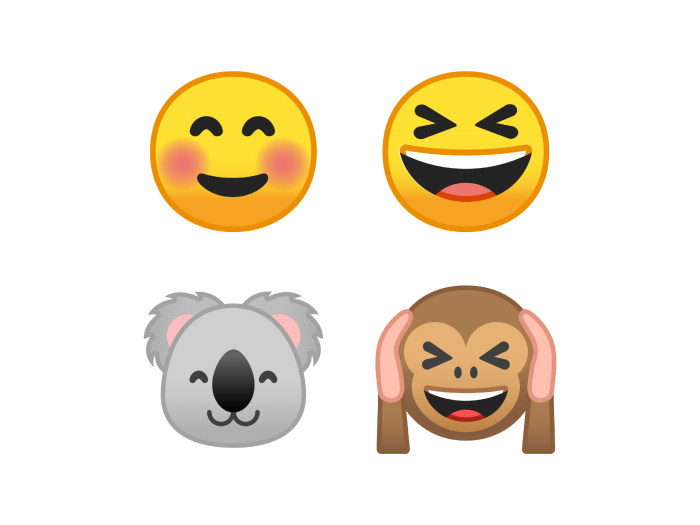 In simpler categories such as animals, people, or expression emojis we used two main colors and a stroke based on the secondary color of the emoji. While redesigning Android O, we designed 69 new emojis, which are part of Unicode 10. 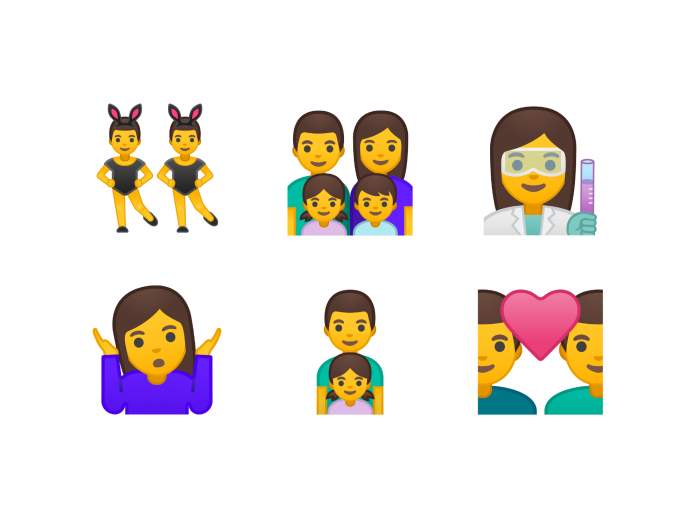 In this set you will find new, more natural-looking emojis, such as woman in a hijab, a mother who is breastfeeding, and others. In the process of Android O redesigning, we created 69 new emojis that are part of Unicode 10. In this set you will find new, more natural-looking emojis, such as woman in a hijab, a breastfeeding woman, and others. We also designed nine new emojis to broaden the whole set. Fans of fantasy, animal-, and food-lovers—everyone will find something they love: from disgusting green zombies to ferocious T-Rex and appetizing dumplings. It has been a long journey since Android began to support color emojis. And the step we are taking today will be one of the biggest in its history. 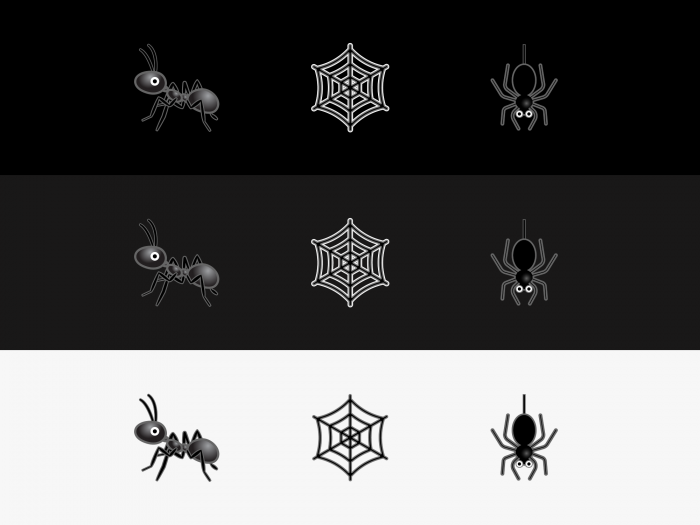 We hope you will have as much fun using the new emojis as we did while designing them. You can read the original article here.